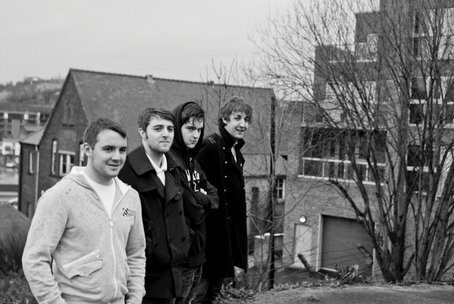 Arkham Karvers are an Indie group from Sheffield. They’ve had a great year with gigs all across the North with one of the best on the Pump Room roof in Buxton and reaching the finals of The Hunger Games competition in Liverpool. However, this gig at the Liverpool 02 academy on the 5th October was their biggest yet. Nine up and coming bands got their chance to perform at Liverpool’s main gig venue at ‘The Industry Showcase featuring the UK’s Best Ones To Watch bands of 2013’. With catchy songs, a great stage presence and a different sound to your fundamental indie band, it’s no surprise that Arkham Karvers had the biggest crowd of the night. They kicked off their set with one of their best ‘The Road’. The video for the song is really different. If you get the chance you should definitely check it out on their Facebook page. Their songs are so well crafted that you didn’t have to know their stuff in order to enjoy the gig. By the end we were all singing along and had all become official ‘Karverites’. It was a refreshing sound. Indie as a genre is extremely overpopulated with up and coming bands. It’s hard to stand out. Arkham Karvers did not suffer from this stereotype by playing classic indie but with fun pop rhythms and a bit of Reggae thrown in. Bass rhythms skilfully played by Elliot Smith allowed them to blend Indie and Reggae with ease, whilst the keyboard added yet another dimension to the band. It was impossible not to dance along when keyboardist Mark Lane was rocking away. Drummer Josh Reddy held the beat expertly the whole way through. I haven’t been so impressed by a drummer since seeing Thom Green from Alt-J. The whole band was full of energy led expertly by frontman Dave Gash. Each band member fed off the crowd. They knew this was their biggest gig and they absolutely rose to the challenge. It felt like we were watching a seasoned band who have been gigging for years. Unbelievably these guys in their current line-up have only been together for 2 years. Despite this they have definitely honed their craft and made it a gig worth remembering. Possibly the best song of the set purely due to the surprise factor was ‘Learn To Be Alright’. Indie and reggae blended effortlessly. The crowd loved it, bobbing and swaying to the reggae beat, ciders in hand. They reminded me of the likes of The Cure and Bombay Bicycle Club. With traces of the anthem-like choruses of The Clash, a band who Karvers have named as one of their principle influences. The set climaxed with ‘The Ocean’. A song with an anthem like chorus so we were all singing along by the end. It also had stand out guitar rhythms from Mr. Greg Smith. We were left with wanting more. A perfect gig to start off what I predict to be a glittering career. Well worth a tenner. They are the epitome of an up and coming band. Arkham Karvers. Remember that name because they’re going to be big.